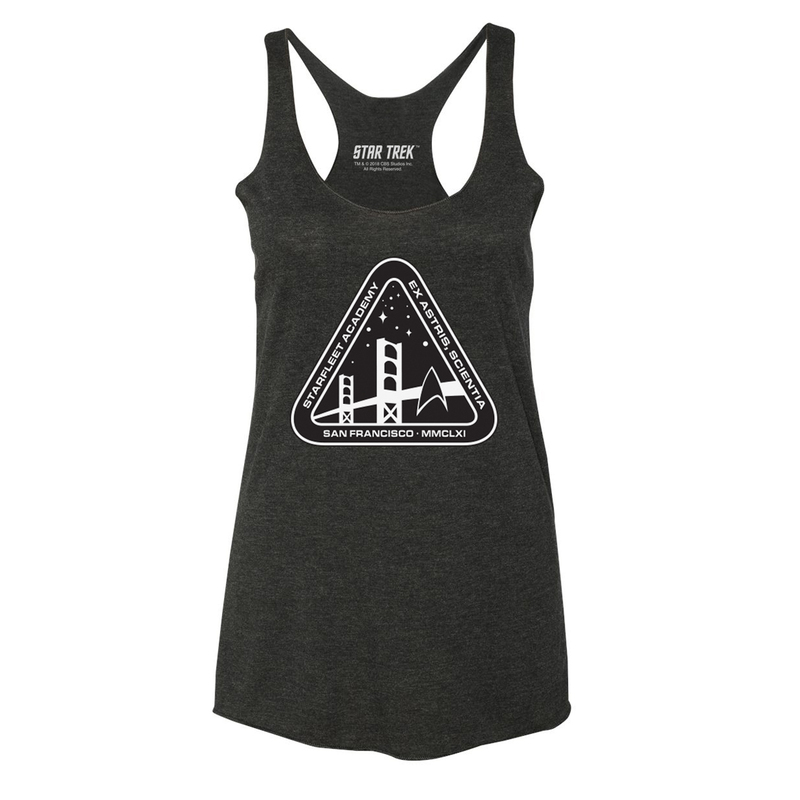 Join the ranks of Starfleet with the Star Trek Starfleet Academy Logo Racer Back Tank. This flowy tank in black features the official emblem of Starfleet Academy. This t-shirt is perfect for any fan of the Academy.